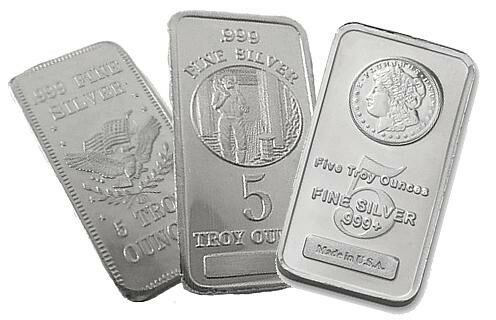 5 oz silver bars are one of the most popular ways for investors to add to their silver holdings. 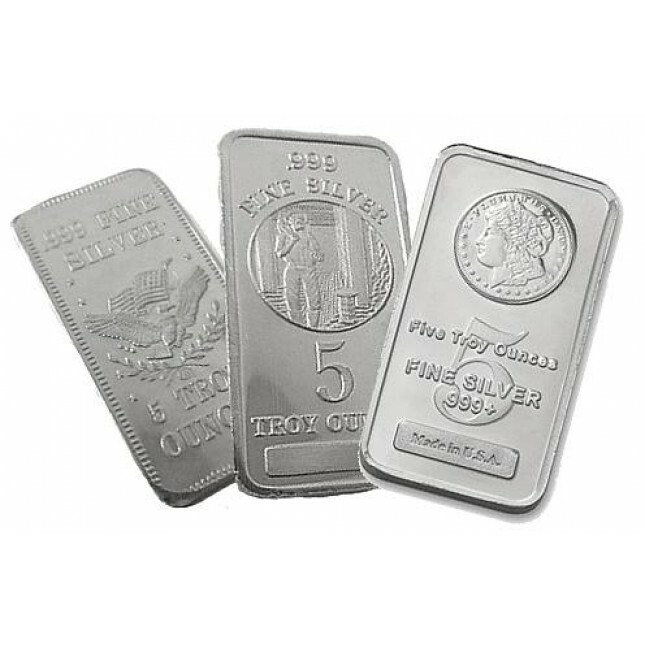 Take advantage of special low pricing on secondary market 5 oz silver bars. Buying secondary market silver bars is a cost effective way to own high quality silver at a lower premium than new bars. All bars are acquired through reputable sources and are verified for their content and authenticity. Each bar will be clearly marked with its weight (5 oz) and purity (.999+ Fine Silver). Secondary market bars are not necessarily new and may show signs of wear, handling, and toning. Brands are random and are of our choosing, but will be a top-quality recognized manufacturer. Orders of multiple bars may be of the same or various manufacturers. This is dependant on our inventory at the time your order. This is an outstanding way of owning 5 oz silver bars at an outstanding low premium! Best Prices on Secondary Market Silver Bars!